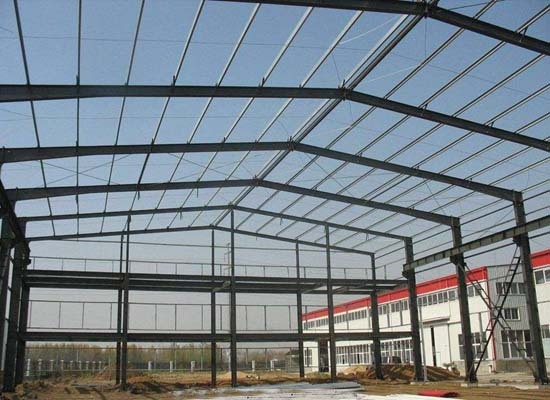 Steel structure warehouse one kind of industrial metal buildings. 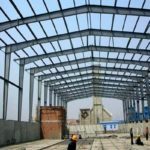 With easy transport, fast install, reasonable cost, custom metal buildings are very popular, such as steel structure shop, steel structure garage, steel structure workshop, steel structure factory. Compared with traditional buildings, these quality metal buildings are simpler and more convenient. 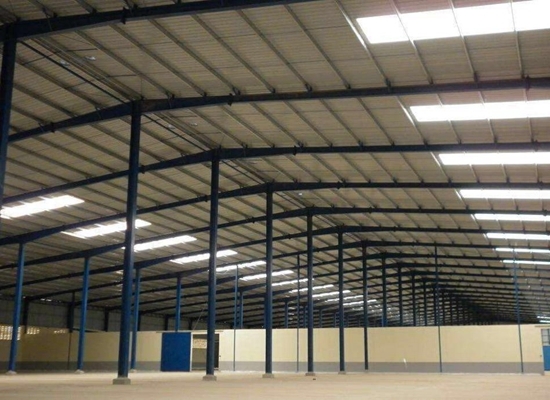 Its material is light and durable steel structure, especially for temporary metal buildings. 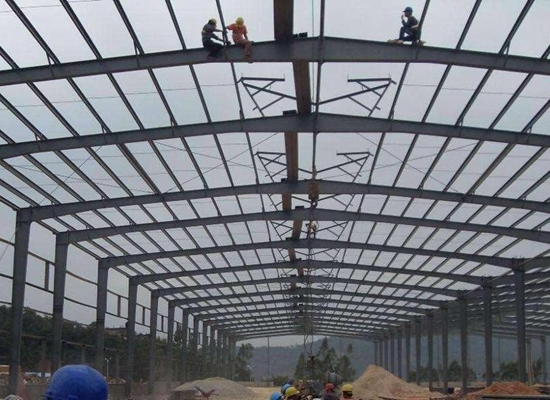 Structural steel warehouse has simple structure, easy installation, short building period and long service life. It is one of ideal metal buildings. Customers choose engineered metal building and save much cost, energy and time. 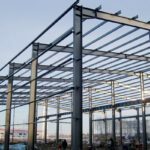 Whatever big metal buildings or small metal buildings, different types of steel structures are available to choose. Our company is good at designing and producing high quality steel structures. As one of reliable structural steel fabricators in China, we take a large share of steel structure market. Our high steel structures have been exported to more than 50 countries and regions. Customers are satisfied with our commercial steel structures and introduce or company to their friends. To make more convenient purchase, our company set agency in Pakistan. We also provide other types of machine, such as traveling bridge crane, heavy duty gantry crane, portable electric hoist, simple jib crane, marine winch and construction winch, marine travel lifts. If interested, just send quotation to sales@crane.pk. 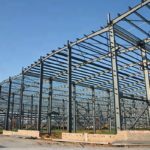 How to build steel structure warehouse safely? 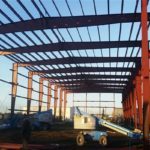 The install of steel structure warehouse should be finished by professional structural steel contractors. Safe and correct installation need much experience and professional skills. As one of reliable structural steel suppliers in China, our company provides best after-sale service for customers. 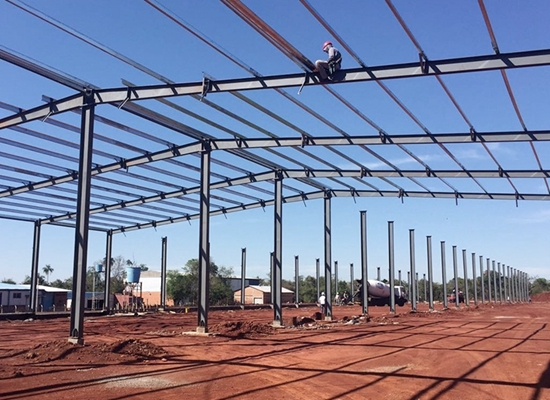 We have professional team and can help customers install the steel structure warehouse. Before installing the steel structure, the workers should be clear about the warehouse structure. This can help workers can cooperate with each other and accomplish the installation successfully. The steel structure parts are welded together. During the welding process, there maybe some electric sparks. The workers should wear the face-cover to protect themselves from dangers. 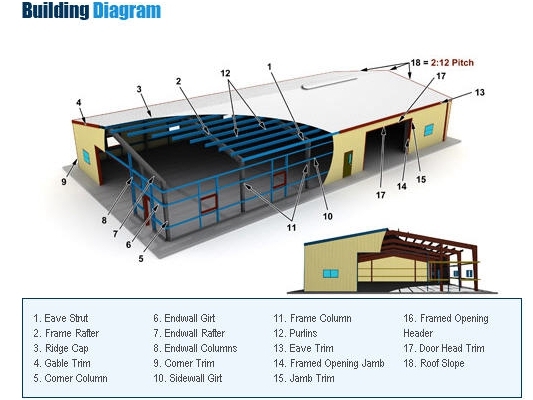 How to design steel structure for a building? This needs professional team and experienced designers. Steel structure design project needs customer and engineer’s effort. Customers provide structural steel specifications and requirements to the engineer. And engineer adjust the steel structure sizes according to practical working conditions. Based on structural steel standards, then the engineer provides an available plan. Effective connection between customers and engineers are very important. It can make them know the needs of each other better. Our company has professional engineers. They design industrial steel structures according to different requirements. Our steel structures for sale are variable. 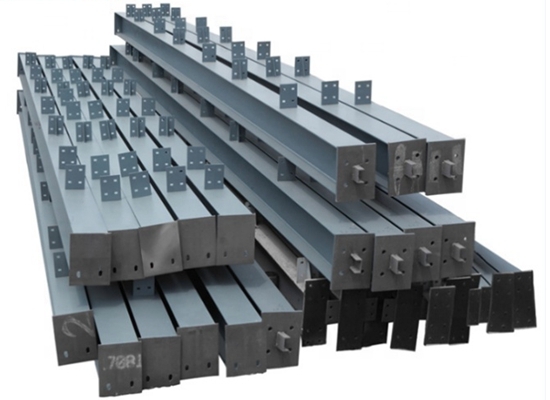 Structural steel is one of the basic material used on the construction of frames for most industrial buildings, bridges and advanced base structures. It is great material for building warehouse, workshop, shed, hangar, factory, garage. 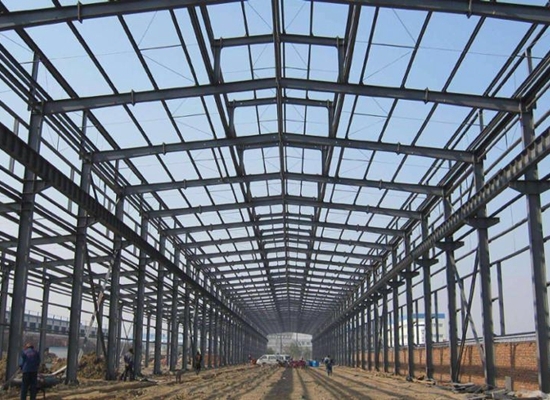 Steel structure can be designed according to different purpose and environment condition. Crane steel structures have long life span. The structural steel is quick and easy to install, and more economic-friendly. It can be moved and recycled. High quality steel structure can stand with strong seismic and has wind resistance features. For any types of steel structures to buy, just contact with us! We will provide more than what you want! Reliable performance, high safety, affordable cost, sincere service! Choose AICRANE steel structures!